A traumatic head injury is defined as a head injury that results in damaged brain cells or involves other injuries such as tissue tears, internal bleeding, or bruising, which result in temporary or permanent effects on one’s mental ability and capacity. Mild injuries usually result in only temporary issues, while severe head impacts and other scenarios can result in TBIs with permanent effects on one’s memory, personality, mood regulation, and other behaviors. Knowing what to look for and how to treat them is import in dealing with traumatic head injuries properly. There are many types of accidents that can result in a traumatic head injury. Often times it is caused by a negligent party not taking reasonable care in what they are doing or not properly maintaining a premises or keeping certain environments visitor friendly. Other times it is simply the result of other medical conditions or one’s own negligent behaviors. The symptoms of traumatic head and brain injuries will highly depend on the severity of the injury. If the injury is more mild, it is much harder to detect and can often show in symptoms that can be easily overlooked such as fatigue or headaches. More serious head injuries tend to be a lot more obvious with symptoms also showing up much faster. Medical treatment should be sought the moment any abnormal symptoms appear or you believe it is even possible that you could have a THI or TBI. 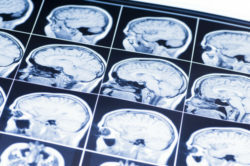 When someone else is responsible for the accident that has caused your traumatic brain or head injury, you may be entitled to compensation for the medical costs and pain and suffering incurred from the injury. In severe cases, it changes somebody for life and affects their ability to perform day-to-day tasks and work. You could also receive compensation for lost past, current, and future paychecks or lost opportunities for raises and advancement. Getting a quality personal injury attorney on your side can help you get the money you need after the devastation. Did you or a loved one sustain a traumatic head injury due to an accident in New Jersey? Don’t let the medical bills pile up while you wait for the negligent party or their insurance company to do the right thing. Right now, you need an aggressive personal injury attorney on your side, fighting to get you the compensation you need, want, and deserve. The skilled attorneys at The Law Offices of Richard A. Stoloff represent clients seriously injured in accidents in Egg Harbor, Atlantic City, Hamilton, Somers Points, and throughout the state of New Jersey. Call (609) 601-2233 or email us to schedule a free consultation about your case. We have an office conveniently located at 605 New Road, Linwood, NJ 08221 as well as an office in Philadelphia, PA.